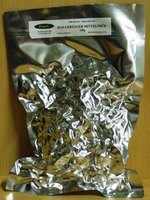 Hallertau Hersbrucker hop for use in home brewed all grain lager and wheat beer - Vacuum packed for longer shelf life. A mild to semi-strong hop that is suitable for all types of lager and wheat beer. A German hop which is most suitable for lagers,pilsner and wheat beers. It has a stronger flavour than Hallertau Mittlefruh and usually has higher bittering properties. Its typical alpha acid levels are 3.5-5.5% depending on the harvest, so you may need to adjust the amounts used in your recipe to ensure that you match the target EBU value.